On Monday, while the world was ending on the East Coast, Apple announced some news of its own back in Cupertino: Two key executives had been booted and their duties re-allocated to others, in the company's biggest shakeup since 1997. The Kremlinology of the putsch began immediately. 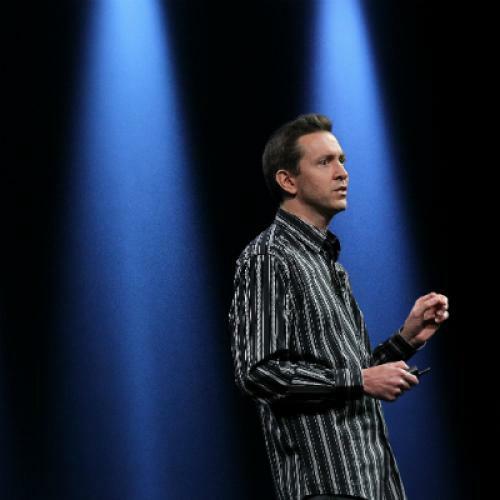 Fifteen-year apple veteran Scott Forstall had overseen the iPhone’s operating system and was seen as Steve Jobs’ true protege, but had irritated colleagues with his tendency to take credit for triumphs and deflect blame for goofs, like the extremely damaging maps debacle. John Browett had been brought on just nine months ago to steer Apple’s ballooning empire of retail stores, but quickly alienated its vast workforce by treating them more like the grocery store employees he had managed in his last job, rather than a high-end sales force that make up an integral part of the brand. From a consumer’s perspective, the implications of the switch are minor. Forstall’s departure may mean a move away from the real materials-based aesthetic favored by Jobs but hated by design chief Jonathan Ive, who’s been put in charge of all “human interface.” And Browett hadn’t had time to make much of an impact; his most concrete decisions were quickly reversed. The bigger question now, though, is more existential: Does this herald the end of Apple’s long ascent? Sure, all companies re-jigger their leadership once in a while, and then move on to greater things. But when you’re at the tippy top of the New York Stock Exchange, even small stumbles are interpreted as a sign of the slump to come. Commentators started wondering if Apple’s golden years were over after Jobs left, when the iPhone 5 came out, when it won a massive patent victory over Samsung, when it turned in a healthy earnings report that still disappointed analysts because expectations were so high. Lately, despite a series of glitzy launch events, Apples just been coming out with versions of its iconic products in different sizes and higher speeds, rather than anything truly new. It’s enough to make Mac heads figure that Amazon’s Jeff Bezos, not Forstall or Cook or Ive, is actually Jobs’ successor as the tech world’s reigning visionary. Apple may still have some blockbusters in the basement, like the long-rumored Apple television set. What does appear to be slipping, however, is Apple’s singular preeminence as a suite of devices and services that provide a unified operating system for your life, which is part of the value add for any new Mac toy you might buy. That unchallenged status allows Apple to charge absurd profit margins on its devices—between 40 and 50 percent!—and pile up the kind of cash reserves that make Wall Street swoon. Lately, however, it’s getting easier to make yourself a Google person, with an Android phone and Nexus tablet and Google Play as a substitute for the iTunes store. Say what you want about Microsoft's cool factor, but Windows 8 and its new Surface tablet are credible efforts to play in the same league. Right now, all Google and Microsoft need to do is look like viable alternatives. Sooner or later, consumers won’t want to pay twice as much for a product just because it feels familiar and is marginally more beautiful than the rest. That’s the point at which Apple goes from being the innovator nobody else could touch to being just another tech company. It’s been a good run. But eventually, the rest of the world catches up.